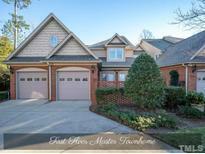 Below you can view all the homes for sale in the Traemoor Village subdivision located in Raleigh North Carolina. Listings in Traemoor Village are updated daily from data we receive from the Raleigh multiple listing service. To learn more about any of these homes or to receive custom notifications when a new property is listed for sale in Traemoor Village, give us a call at 919-928-5027. Great Outdoor Entertaining w/Private Brick Patio Courtyard! Near Shopping & Dining! MLS#2241359. 1128. This Beautiful House has what you want! Call Today! MLS#2237107. 4495. Spacious Bonus Room w/ wet bar & built-ins.Private courtyard and backyard patio. MLS#2229754. 1128. Two Bedrooms,a Full Bath,a Bonus Room w/a wetbar are upstairs! MLS#2218326. 5026. Guests, teens and toddlers can all find a place to call their own. Check out the features list. MLS#2215779. 1502. Bonus with wet bar. Generous closets and storage. MLS#2206793. 850. 1st floor master suite with double sided gas-log fireplace, steam shower, and custom closet w/ laundry access. Private landscaped back yard. 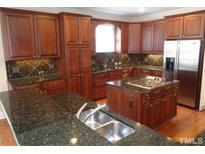 MLS#2171899. 982.